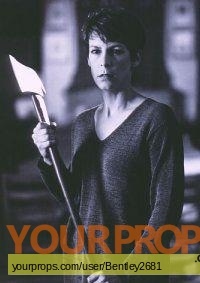 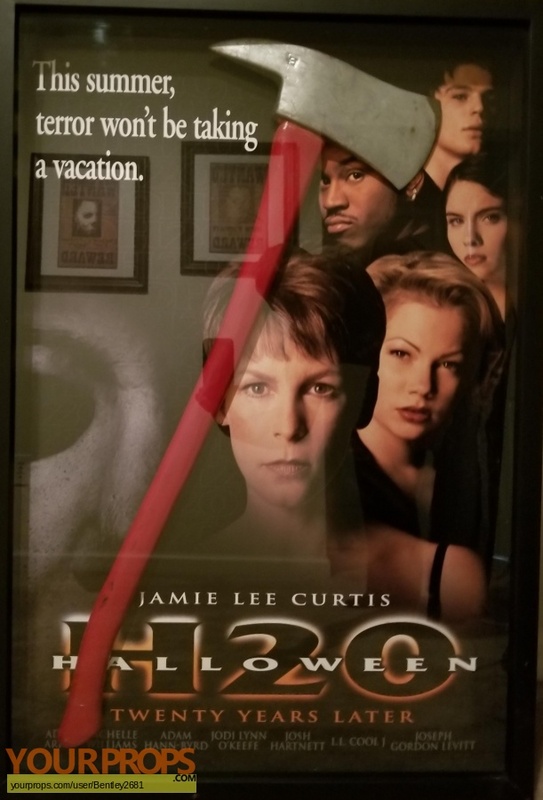 This is the metal Hero axe used in Halloween H20. This axe is a real axe that was used on screen and was aslo used as the model for the stunt rubber axe made for Halloween H20. 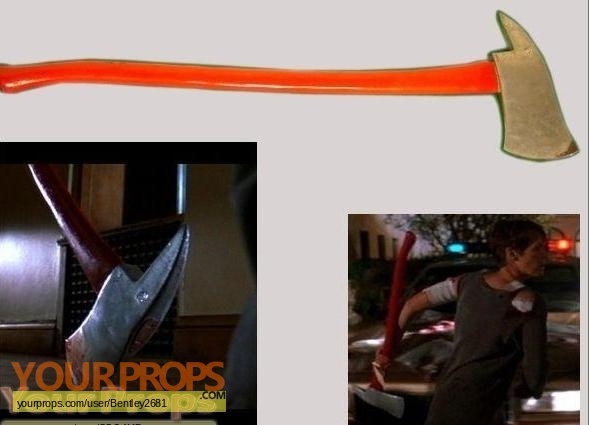 The blade still shows the markings where Michael Myers drops the axe and it chops into the floor.